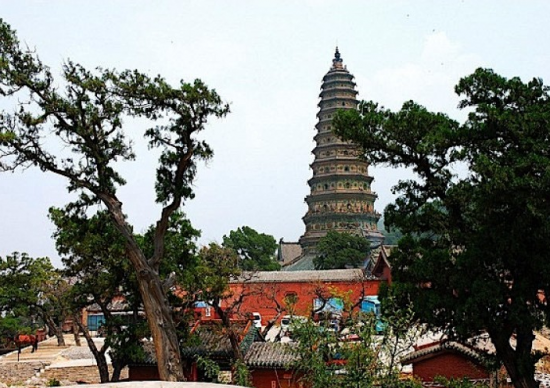 Dating from 147 A.D, Guangsheng Temple near Huoshan Mountain in China’s Shanxi province is renowned for its 13-story “Flying Rainbow Pagoda” and its murals which portray the local populace propitiating the Water God during the Yuan Dynasty (1271-1368). This month the Chinese state mouthpiece Xinhua reported that a researcher had found evidence of refrigeration being used to preserve food. One of the temple’s murals depicts a splendid mansion and the life within. Drawn on the palace hall’s northern wall, it portrays Chinese maidens carrying musical instruments and lotus flowers. The furniture and other accoutrements illustrate the pleasurable life enjoyed in that era. What is surprising is that under a desk there was a wooden dipper containing fruits, with small cubes of ice placed between the edible delicacies. This painting was completed 670 years ago, showing that the people then already knew how to use ice to preserve food and enabling us, as modern people, to broaden our horizons. Ice was known and used in ancient cultures both in the East and the West. The Romans imported ice south from the Alps and Apennines and, considered a luxury, it sold in the city at high prices. The public also enjoyed cool waters in the public baths, since the cost of a private ice house would have been exorbitant. Ancient China, with her many mountains, not only used ice for cooling, but even invented snow shoes and ice sports such as sledding. 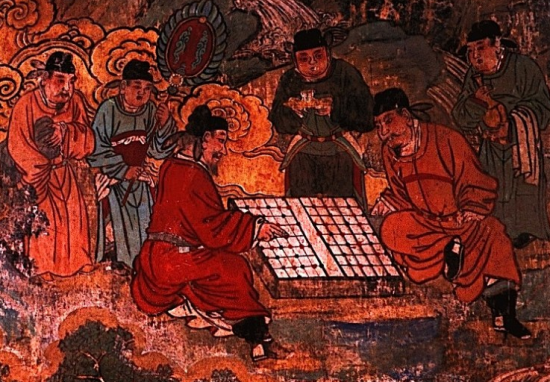 The Qing Emperor Qianlong (d. 1799) was enamored of winter sports and supported the athletes and their training. Chinese ice cream is believed to have originated in 3000 B.C., a treat which didn’t arrive in Italy until after Marco Polo visited China.